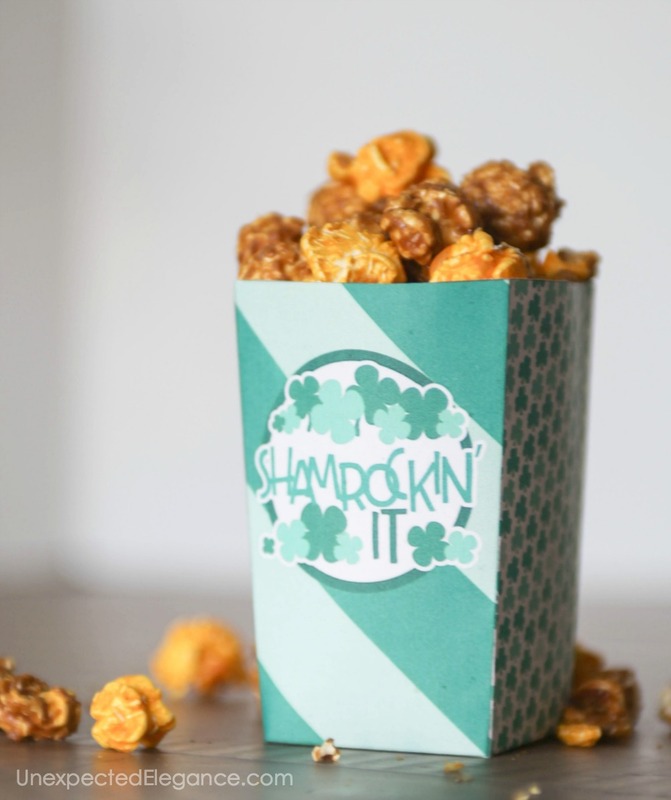 Anyone celebrate Saint Patrick’s Day?!? We always seem to have a party or get-together with friends…just because it’s fun. 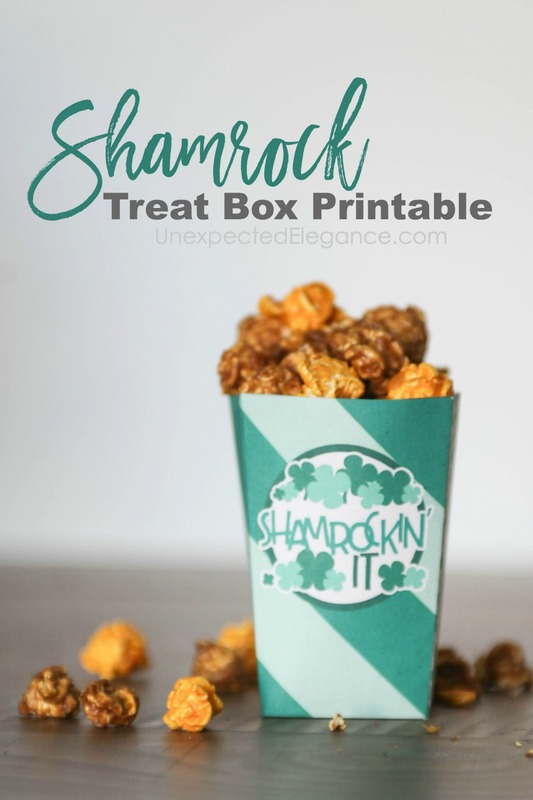 So I thought I would share a free printable treat box this month. They are festive and can be used at a kid or adult party. Not throwing a party? Hand them out as a “thank you” to friends, neighbors or teachers. 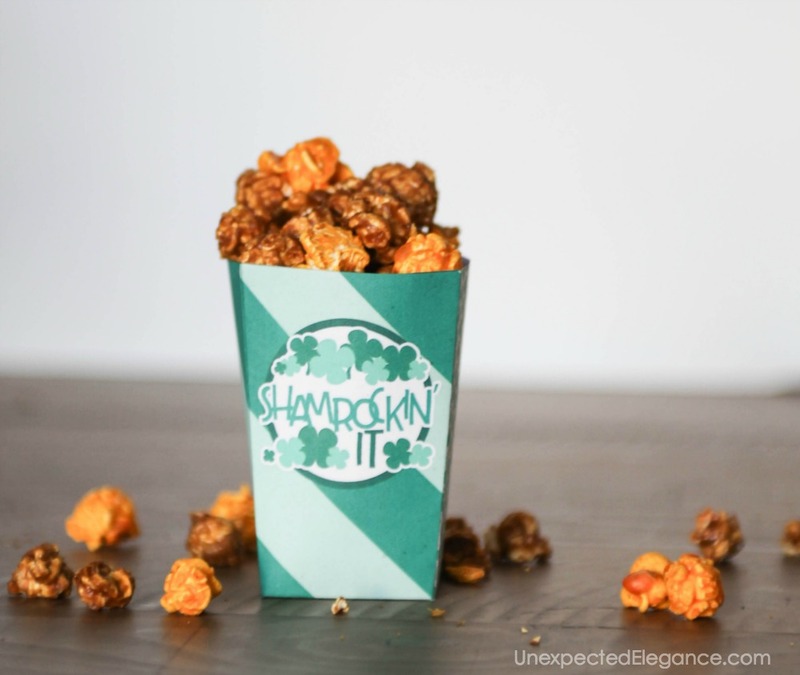 Just print out, assemble and fill with a treat. Print treat box on white card stock. Cut around the edge of the box. Fold on all the lines (crease them good). Adhere the entire flap for stability. Fold the bottom – it fits together like a puzzle. You can adhere the bottom for more stability, but it’s not necessary. Tip: If your printer has set margins, make sure you remove them or print to fit the page.